Hip-Hop is so often at the heart of Touch Loops, with the Lo-Fi aesthetic being one of the most innovative & exciting right now. By running small, everyday sounds, classic drum machines and live drum kits through saturated tape machines and analogue filters we’ve been able to create an incredible batch of Lo-Fi Hip-Hop one shots you’ll just love. Hip-Hop Drum Tools is divided across 8 Drum kits, each consisting of 16 sounds these amazing kits have been added to your favorite samplers to make production that bit easier. We’ve also included a batch of amazing MIDI loops that you can easily chop and change across the kits for even more sample flexibility. For you non MIDI guys all loops have been exported as full & tops loops with that extra pinch of Touch Loops saturation for even more Hip-hop goodness. 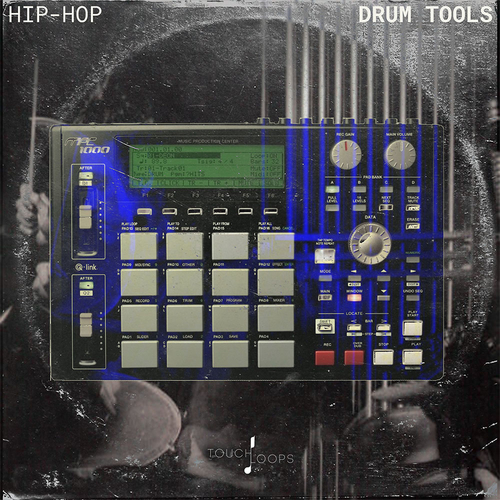 Inside Hip-Hop Drum Tools we’ve even thrown in a folder of pre-prepared FX and drum fills to help expand your loops into full tracks offering yet more drum flexibility. So if you’re into classic Hip-Hop, loves things a touch more Lo-Fi or just want to expand your hip-hop repertoire then this one’s for you. Download this unique release and let’s get Lo-Fi!